I was so excited when Chabi Chic got in touch with me about working with them to create a series of illustrations for their Christmas product booklet. 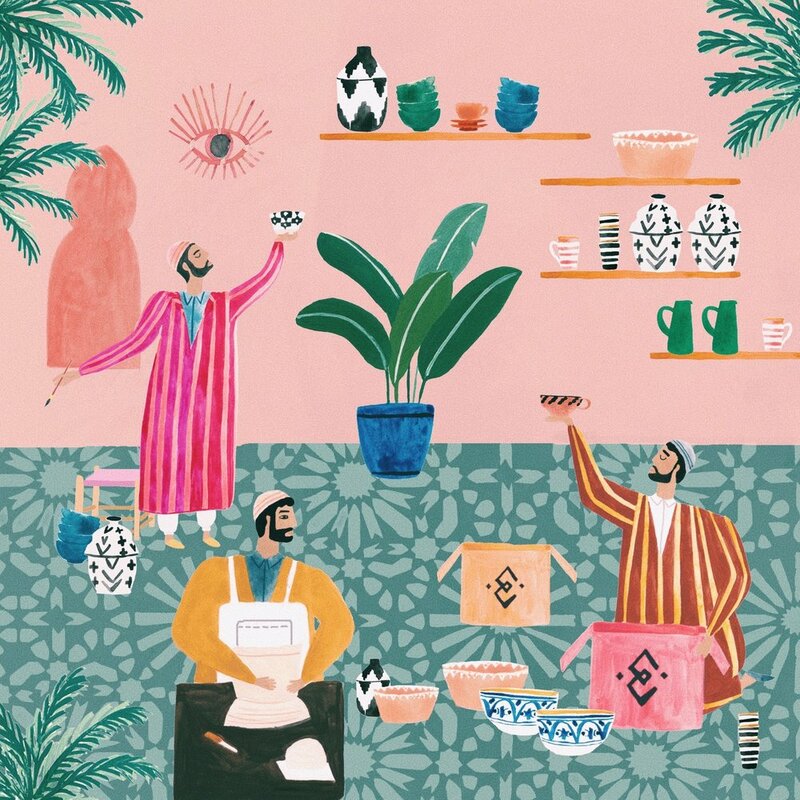 Their products are beautifully handmade in Morocco and if you're ever in Marrakech, a visit to any one of their beautiful shops is a must! 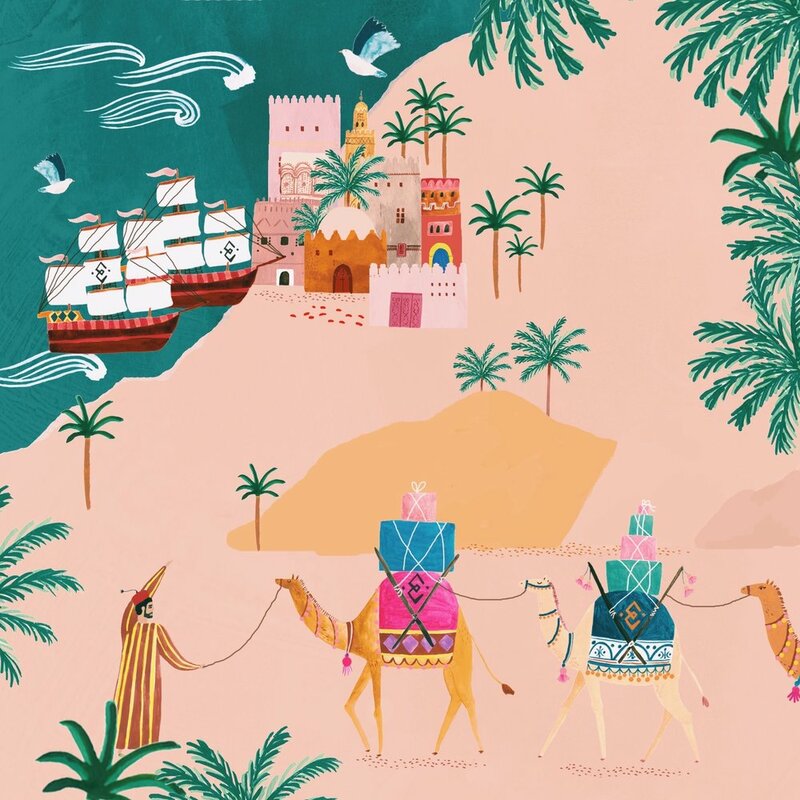 The brief was to create five illustrations that represented the journey their products take from production - handmade of course, to delivery!